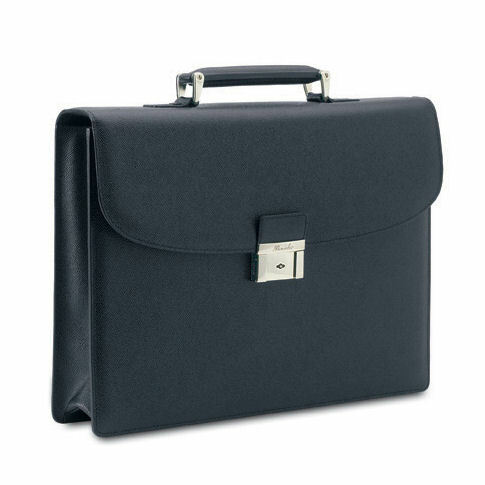 Pineider City Chic Veau Graine Calf Leather Briefcase with one compartment is aimed at women professionals with sphisticated tastes. Details: Pineider City Chic Single Gusset Leather Briefcase is a handmade luxury leather one gusset compartment briefcase with minimalist and elegant design crafted in scratch resistant veau graine printed calfskin. Interior finished with luxurious Pineider jacquard. 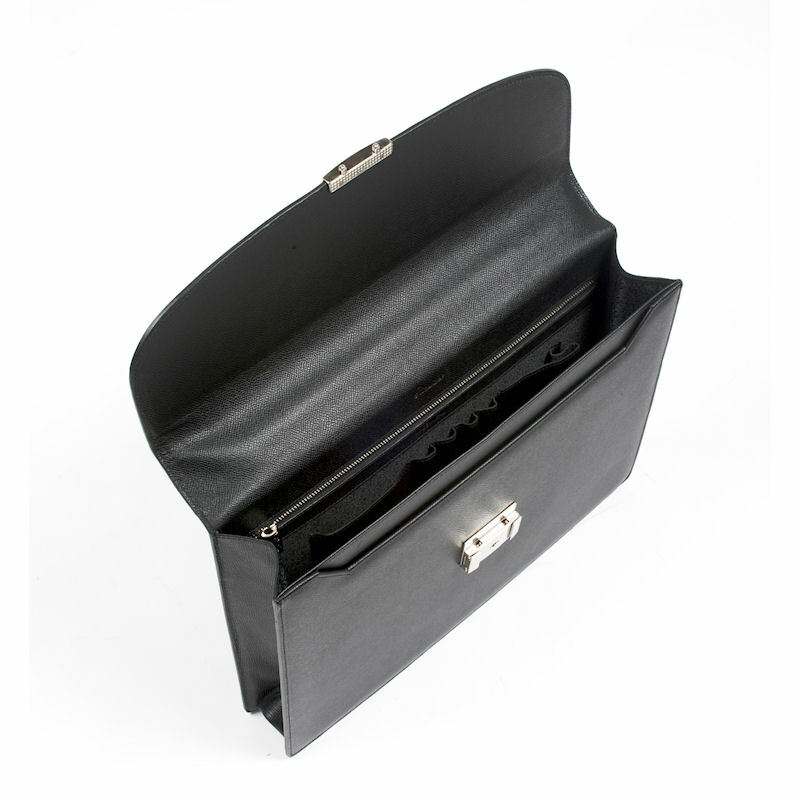 Designed for style conscious well dressed executives, this small briefcase is best for those preferring a lightweight work or business travel bag. 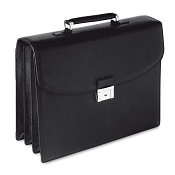 Stylish design and colors make this a popular unisex briefcase for women but also men. 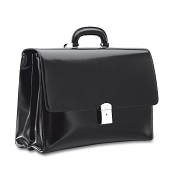 Elegant designer business bag with space for a small laptop/MacBook or tablet computer. 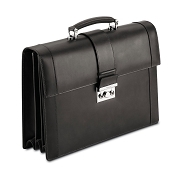 The Pineider City Chic Leather Briefcase - Single Gusset can be personalized with name, initials, monogram, or logo. Clean profiles, elegance and sophistication are the essential characteristics of the City Chic collection, made for men and women. Made in enduring veau grainé. 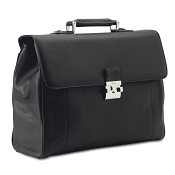 The Pineider City Chic Leather Single Gusset Briefcase is completely handmade in Italy by world class artisans. Colors: Black, Blue, Bordeaux, custom colors on request.